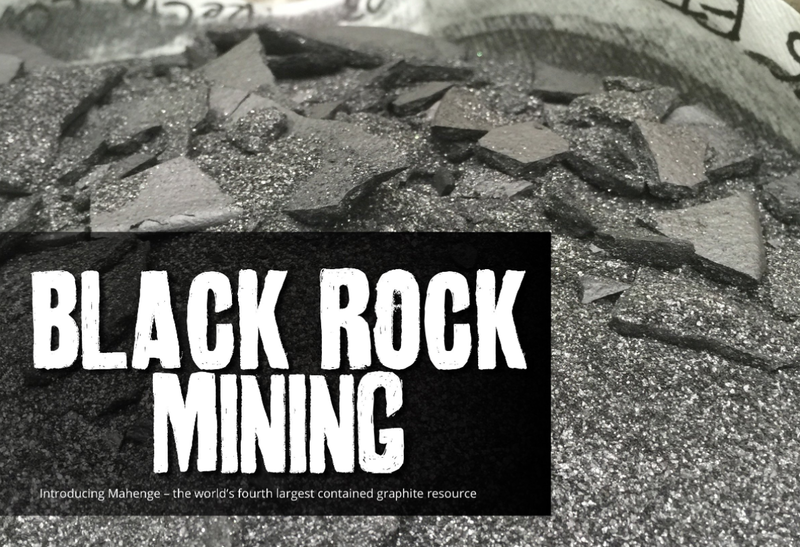 Black Rock Mining has been based in Tanzania since 2014 and is solely focused on developing its Mahenge project, a high-grade, premium concentrate graphite mine and the fourth largest contained graphite resource in the world. Respected industry veteran John de Vries was appointed interim CEO in April, before taking on the role on a permanent basis in August as the company looked for the necessary leadership to progress from graphite explorer to developer. For de Vries, Mahenge was an opportunity too good to miss and a chance to implement his trusted ‘three Ps’ strategy – people, profitability and planet, on a confirmed world-class orebody. “The three Ps strategy involves having a sustainable relationship with our employees, our community and our host country [people], providing sufficient returns for our investors [profitability] and creating a sustainable environmental footprint [planet],” proclaims de Vries. In August Black Rock passed a significant milestone in the development of Mahenge after releasing an optimised pre-feasibility study (PFS) for the project, which confirmed the exceptional quality of the graphite present across the resource. The PFS outlined a plan for Mahenge to deliver a maximum of 250,000 tonnes per annum of graphite at a purity of 98.5-99.5% over a 31-year life of mine (LOM). The total JORC resource is estimated to be 211Mt, containing nearly 16Mt of graphite at an average grade of 7.8% total graphite contained (TGC), while the JORC reserve is 69.6Mt at 8.5%, verifying Mahenge’s position in the current top four largest graphite resources globally. Financial metrics of the project were also illustrated in the PFS, with a pre-production capex of US$90.1 million and reduced state opex of $378 per tonne proving up an operating margin of $863 per tonne, after a basket price assumption of $1,241 per tonne was established. This basket price assumption is actually based on the lower range of prices for graphite as Black Rock aims to be highly transparent in its pricing, therefore there is a possibility of the project generating an even higher profit margin. In terms of funding the project, Black Rock has identified a bootstrap strategy, whereby the mine will be developed in stages to ease its cash flow situation. “The PFS was articulated based on a development strategy, which we call ‘crawl, walk, run’. That is, we come in with the first module and then the cash flow from that module funds the second and the third module. However, it is not just the PFS that has proved the quality of Mahenge’s produce, as the company also recently conducted a 200-cycle battery test on its graphite. The results revealed that the graphite in those batteries outperformed the leading current brand on the market, essentially establishing a new benchmark among modern graphite batteries. “This is a fundamental game changer because nobody else has done this, we are the first to climb Everest,” de Vries purrs. After a more detailed analysis of the results, de Vries believes his graphite has the potential to revolutionise the rapidly advancing lithium-ion battery industry, and is timing Black Rock’s ascent perfectly to meet the industry’s imminent large-scale demand for graphite. The continued rise of portable consumer electronics, along with the need for greater energy storage and the looming electric vehicle (EV) revolution, will soon combine and rapidly accelerate demand for graphite which is a vital component in modern rechargeable batteries. Consequently, Black Rock has strategically positioned itself to take full advantage of this heightened demand over the next few decades through its phased developmental approach to Mahenge. “This is where our crawl, walk, run development strategy works for us. The EV revolution is going to take off soon and it’s going to require high-quality graphite. Another crucial contributing factor towards Black Rock meeting this increased demand has been its ability to partner with leading international companies in order to develop its understanding of the battery industry, while also finding an end user for its produce. The company recently signed an MoU with Japanese firm Meiwa Corporation, which is associated with Mitsubishi Group companies, and also has an agreement in place with Botiang Trading Company ltd from China. “Botiang is a spherical producer and the agreement is very important because it helps us understand what is going on in the spheronising business in China,” explains de Vries. Spheronising is the process by which graphite is developed in order to perform in lithium-ion batteries. In July, the Tanzanian government sent reverberations around the national mining sector after drafting in a series of new laws which increased government ownership in projects and raised royalty fees on mineral exports. The new legislation was hastily signed into law through Tanzanian parliament after the government clearly highlighted its perceived continued lack of beneficiation from the bustling mineral extraction industry. Subsequently, the new mining legislation will have a profound impact on how all mining companies with interests in Tanzania go about doing business, and Black Rock is no different. However, de Vries is ensuring the company follows a pragmatic and cooperative approach to the changes. “The government feels aggrieved at the loss of revenue out of its gold mines and have put in place measures that ensure that there is lots of transparency around new mines, so they can make sure it gets its fair share of the revenue. “Provided everyone can agree to the rules and stick to the rules, that’s not a problem. At the end of the day sticking to the rules is not a problem. If we know the rules we can make a decision to invest,” says de Vries reassuringly. Therefore, the short-term goal for Black Rock is to develop an agreement with the Tanzanian government that is sufficiently attractive for both parties. “Once we have a full agreement in place, that will allow us to raise the money we need to complete the DFS, which we will engage and get on with. Beyond this de Vries highlights a five-year plan culminating in the completion of Mahenge’s third module, which he believes will signify the arrival of Black Rock as a significant premium graphite producer in the global market. If Black Rock can continue navigating a smooth course for the Mahenge project over the coming years, it is perfectly poised to deliver a new generation of premium quality graphite to the lithium-ion battery industry, supplying much of our future energy needs.